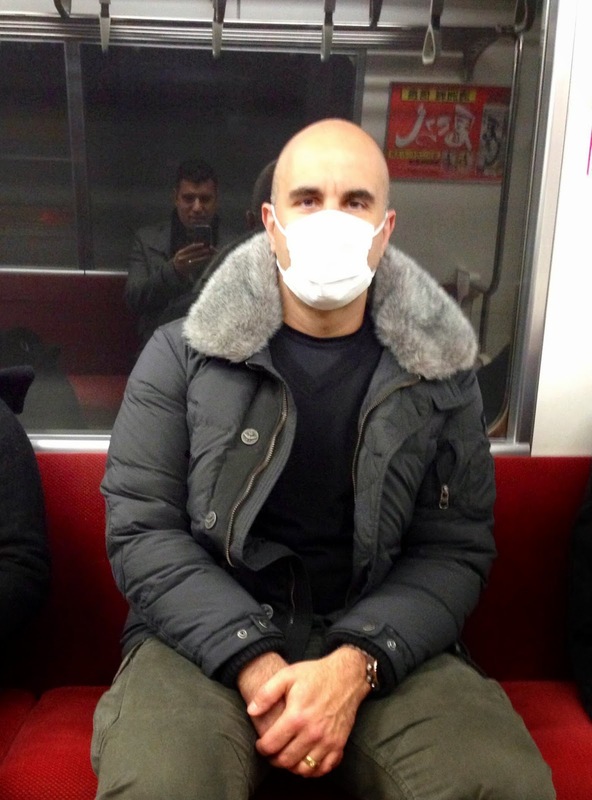 Planning a trip to Tokyo can be a daunting task. A mega city with a population of 13 million people, a huge subway system and a less than friendly language... how to navigate solo? I will give you the tools to enjoy this amazing city without getting lost in translation. from the city. Two hours by car/bus and 70 minutes by train (Narita Express or NEX). This one is a no brainier... 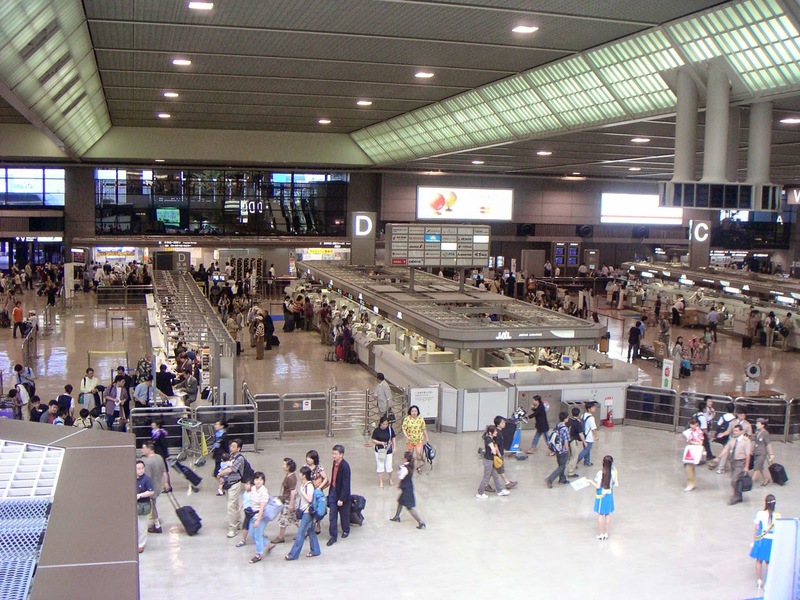 The train station is right below the airport, you buy the ticket saying: "Tokyo Station", there is only one track, you hop in a modern train and relax on the way to the main train station in Tokyo, that will connect you to the city's amazing subway system. It's affordable and stress free.If you get a bus or taxi, you will be trapped in traffic and the trip will take and cost MUCH more. Viator is reliable, they offer the best rates (and you also can find coupons online for additional discounts - http://www.retailmenot.com/view/viator.com) and they work with local tour companies. I have used Viator in Europe and now in Japan, and it was always a great experience. So we did the Tokyo Day Tour and we visited the highlights of this city. 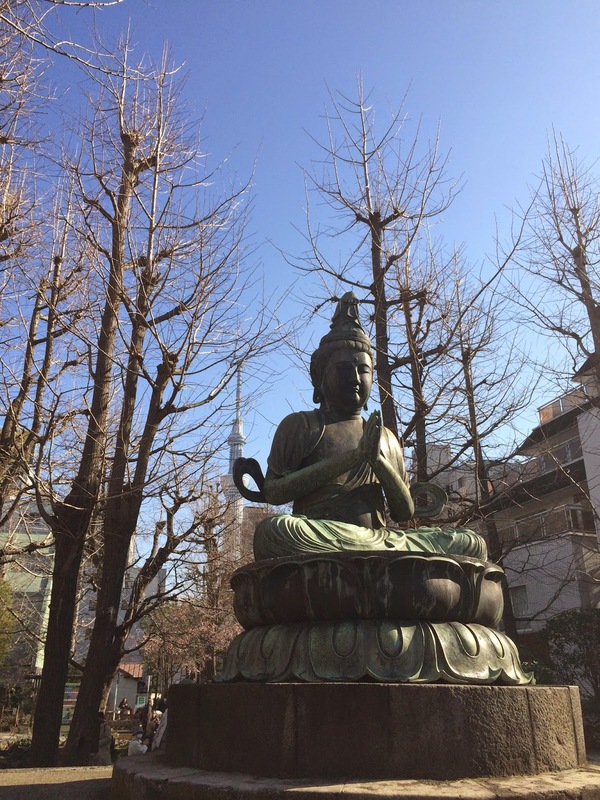 My favorite spot in Tokyo is Senso-ji Buddhist temple and Nakamise Shopping Street. This is a colorful area that has a little bit of old Tokyo's charm. After the "orientation day", we decided to explore the city on our own with our Frommer's Japan Guide, and after getting lost a few times on the subway, we were able to get around and get a taste of Tokyo. It's always fun to explore a new place and a different culture. Like riding the subway in Tokyo. The trains are pristine inside and out, and you can't hear anyone talking. 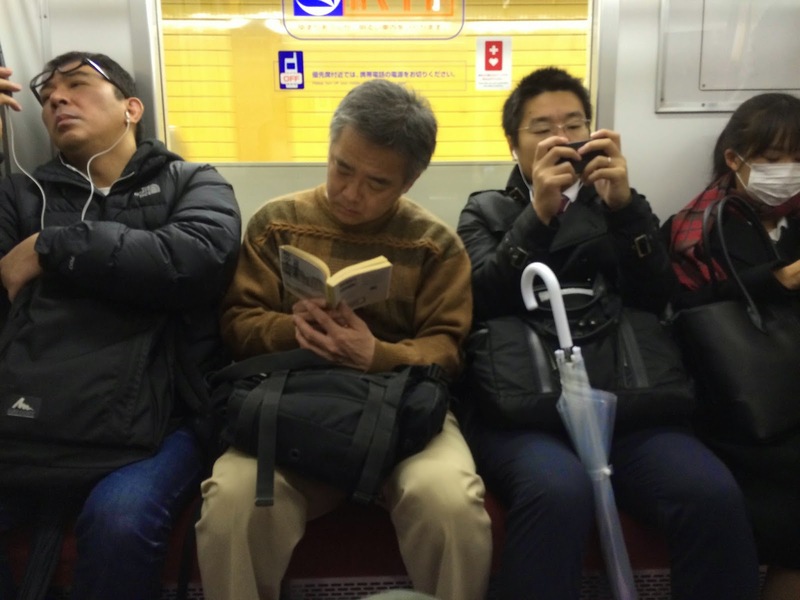 Most of the passengers is watching or reading something on their phones or tablets. No eye contact, they are just into themselves.But on the other hand, in several occasions we didn't know where to go at the subway or train station, and always, some English speaking friendly Japanese person would take us to the place we were trying to go. Something I've never seen in any other big city. Everything works on the clock in Tokyo, thousands of people walking up and down the streets, subways, train stations, on a organized orchestration. It's amazing to realize how it's even possible. and shrines and modern high-rises 50 stories tall. Something that I learn in Japan: Shrines are part of the Shinto religion and temples are for Buddhists. They are everywhere in Japan (specially Kyoto) and all of them have a beautiful history behind it and Japanese, in general, is very superstitious, so they have different ceremonies to please their gods. It's something beautiful to witness. Now, regarding food... we are not the biggest fans of soup with noodles and some kind of fish floating around. Due to the language barrier, sometimes we had to order in the dark and most of the time, we didn't enjoy the food. Even sushi, it's much better in America. Or maybe we are used to the American version of sushi and the original just tastes to bland. We survived on Indian food and good buffets breakfasts. where they meet. 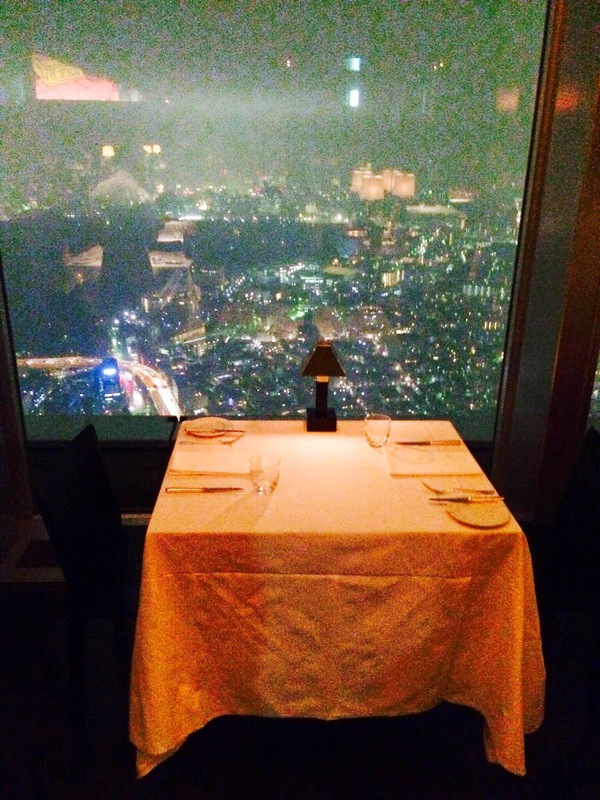 That is the New York Grill located at the 52nd floor of the Park Hyatt Tokyo. Yes, it's overpriced, but the food and service are decent and you will pay for the best views of the city. It's a must see in Tokyo if you are not afraid of highs. 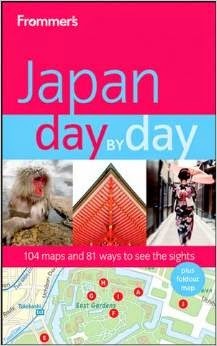 There are also several day trips you can do from Tokyo. My favorite is Mt. Fuji & Lake Ashi. It's a quick and unforgettable visit to this iconic dormant volcano. Overall, I was very impressed with Tokyo and four or five nights in this city is enough time to explore the main attractions and its surroundings. After all, Japan has a lot of beautiful place to visit and we left to Hiroshima on our fifth day in Japan. Best app for this trip: Japanese-English Translator. This is no joke. In several occasions, I wrote in English what I was trying to say and the app translated and said it in Japanese. It was a life saver during this trip and made me feel like a local!